Scott Bielicki has returned to Sherrill, NY to serve your legal needs. Scott Bielicki has returned to his home town of Sherrill after serving in several capacities in the United States Marine Corps and practicing in the private sector with the Washington DC office of Steptoe & Johnson, an international law firm. Scott has a broad experience base in a myriad of issues. He has earned a reputation as a hard nosed litigator who has the foresight to see how a case will eventually resolve and then get to that resolution in the fastest, most economical way. 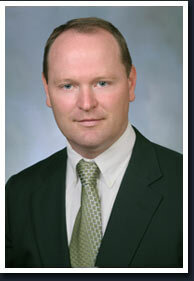 If you need a smart, tough, and dependable attorney to help you resolve your legal issues, contact Scott.